Early this year I drafted a pattern which I (very plainly) called Basic Block 1. I wanted to create a basic pattern which I could use to make a number of different garments. But not just - change a neckline, or shorten, or different sleeve length type of changes, which are common in patterns that are published today. 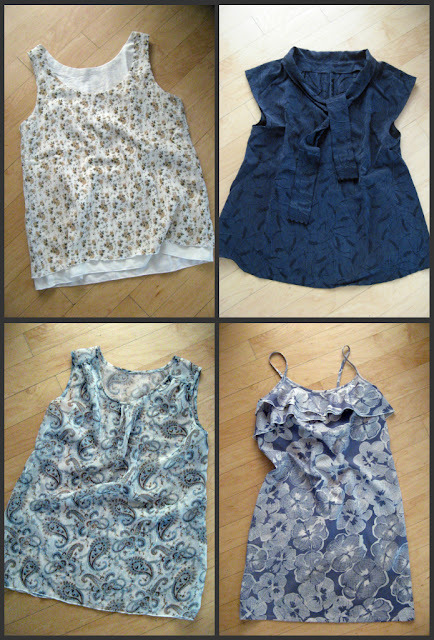 These are useful too, but I wanted to go a step further and show that by doing some relatively simple modifications (drafting), you can make patterns for garments that are quite varied - from simple sleeveless top, to drop shoulder tops to strappy dresses (just to name a few). And here are the four garments I drafted using this pattern (clockwise from top left): Ulla top, Marina top, Blomma dress and Editt top. 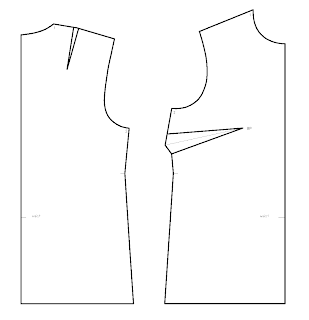 Pattern modifications I used and explained were: simple neck and arm opening (re)shaping, adjustment of deep necklines, drafting french sleeve, moving bust darts (Editt and Marina tops) and drafting flounces. And these are really not that complicated and you don't need any special tools. How many times have you been able to take a pattern and make a garment that fits you without any pattern modifications? So if you are already making these modifications, why not start from a basic pattern like this, and make a design you like. If you know a few drafting tricks, you can basically make anything you want. This is exactly what I want to show on this blog! I will be making more of these. I will be adding a couple of different sleeve designs to show how you can mix and match to get even more designs. And if you are interested in learning how to draft a simple skirt, that's what I will be doing next.